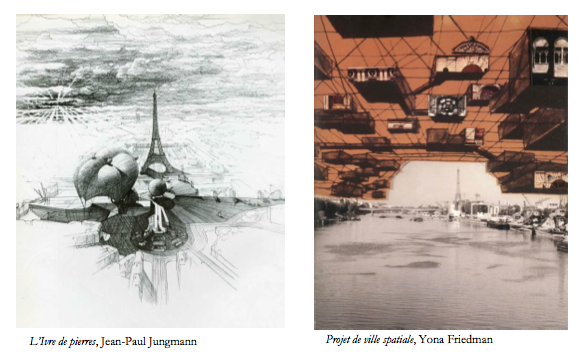 Revoir Paris l'Exposition is an exposition in La Cité de l'Architecture & du Patrimoine in Paris that opened at November 20, 2014. 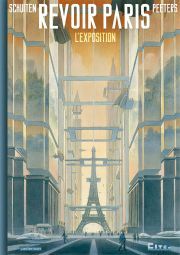 It gives a view on the architectural history of Paris seen through the prism of François Schuiten and Benoît Peeters. The exhibition will be held until March 9, 2015. 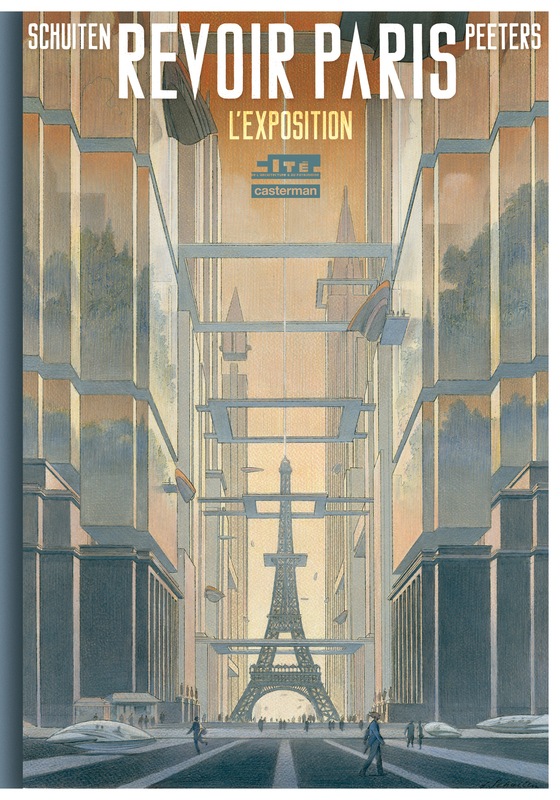 The idea of ​​this exhibition, which takes place in the “Cathedral” of La Cité de l'Architecture & du Patrimoine, is to engage in lively manner a set of old or recent utopian representations of Paris (drawings, paintings, models) and the many images made by François Schuiten around Paris: the metro station Arts et Metiers, the novel by Jules Verne Paris in the twentieth century, the Greater Paris project, but especially from the comic strip currently under realization, Revoir Paris. 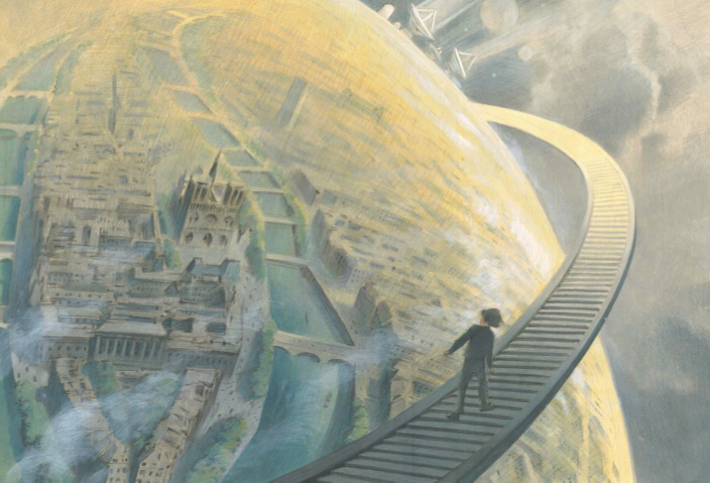 According to François Schuiten “It will be a tribute to those that have marked the history of this city. But the end will be very futuristic…” 1). 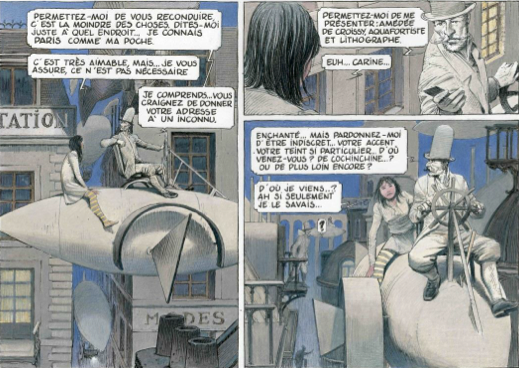 François Schuiten and Benoît Peeters: “The comic book has always had close links with architecture. But in the album series Les Cités obscures, we gave it a dominating role. Playing with the signs of yesterday’s modernity, we presented a world in the past future in which urban fabrics and temporal layers are intertwined. 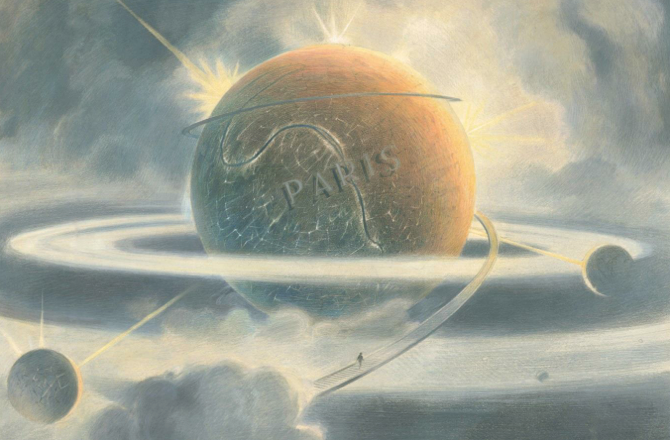 Paris appears in them under the name Pâhry, alongside imaginary cities like Samaris, Urbicande and Calvani. Paper dreams sometimes approach the most concrete realities. 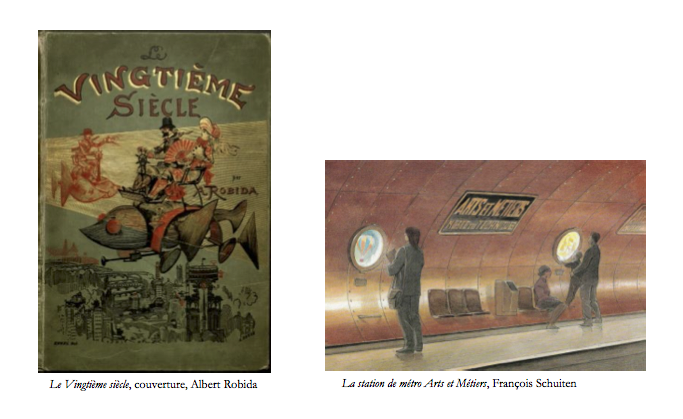 This was the case in 1994 with the Arts et Métiers metro station, designed as a sort of underground Nautilus. 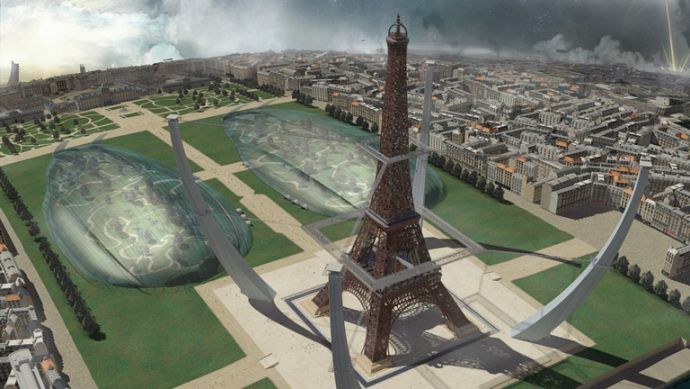 And in 2009, with a group of illustrations proposing a metaphorical vision of Grand Paris, they are presented here for the first time. 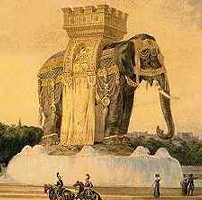 The exhibition costs about 350.000 euros to build 3). 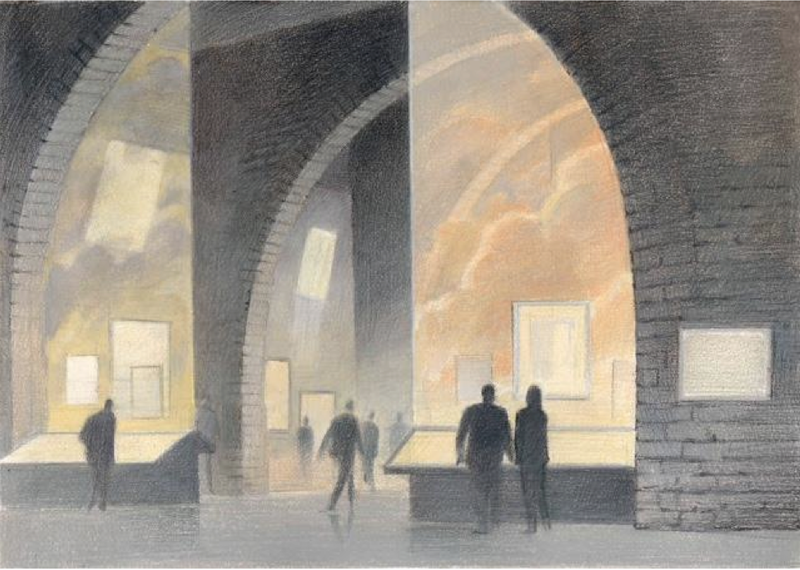 The exhibition takes place in the « Cathédrale » space of the Cité de l’architecture & du patrimoine. 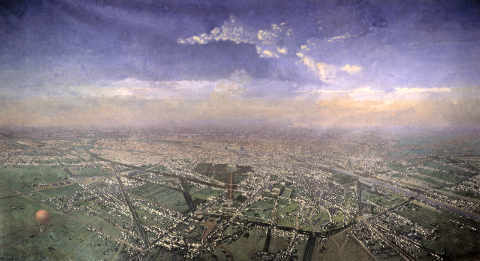 The start of the exhibition presents the huge painting of Victor Navlet, a general view of Paris taken from the Observatory (1855, Musée d'Orsay, NMR). This painting provides a general representation of Paris just before the great works of Haussmann 5). The Haussmannisation was a kind of utopia, but immediately realized that a point as his visionary appearance escapes us essentially. 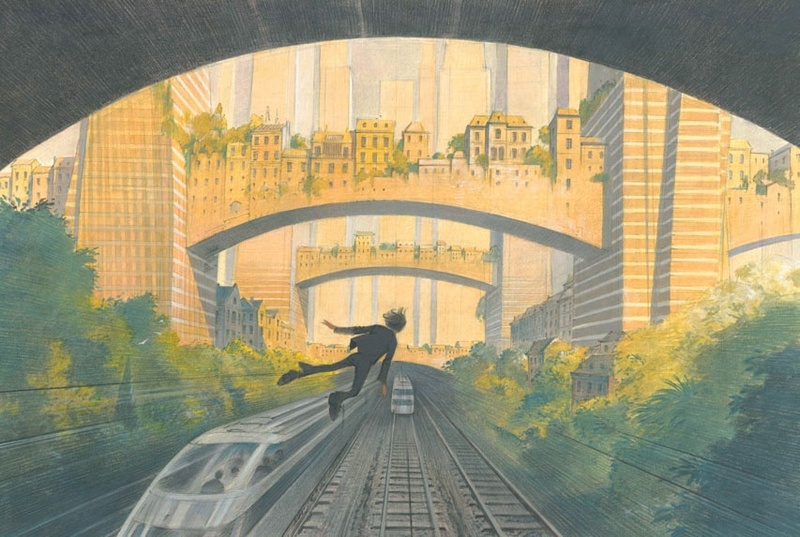 But we can not bypass this essential aspect of the metamorphoses of Paris, especially since he has left strong traces in the drawings by François Schuiten. 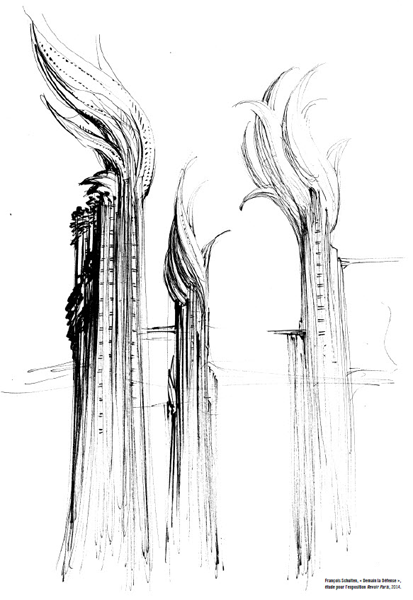 The universal Exhibitions, especially those of 1889 and 1900, have proposed strong visions of Paris, partly ephemeral, permanent for others. They helped shape the face of Paris, in its theatricality and its oddities. The city transformed by the car and metro. The transformations of the grand boulevards. The reveries around traffic and new means of transport. The ballon and the plane change deeply look on big cities and particularly Paris. 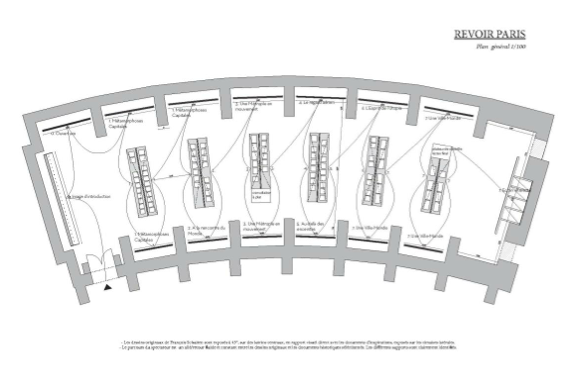 Henceforth, planners favor major roads and advocate for high-rise buildings. Paris has continues to widen in exceeding its successive boundaries, but they remain very present in the structure of the city. Peripheral and continues today to draw a break between twenty districts and suburbs. 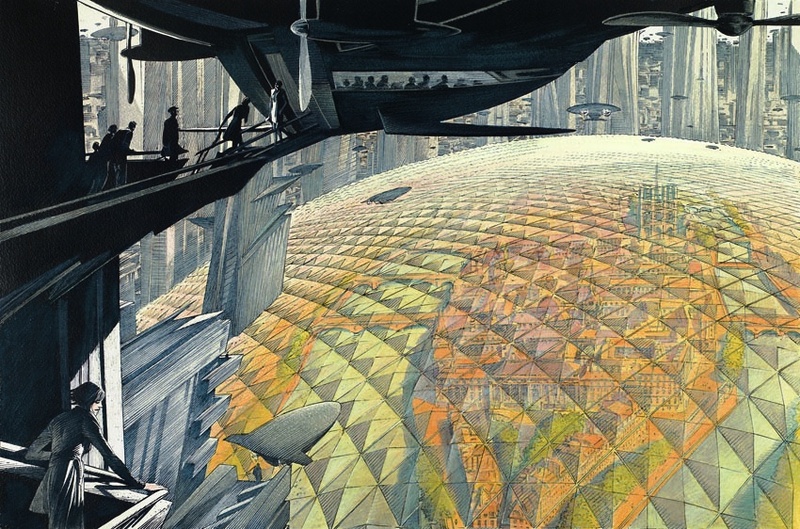 In years 1950 and 1970, utopian projects for Paris multiply. 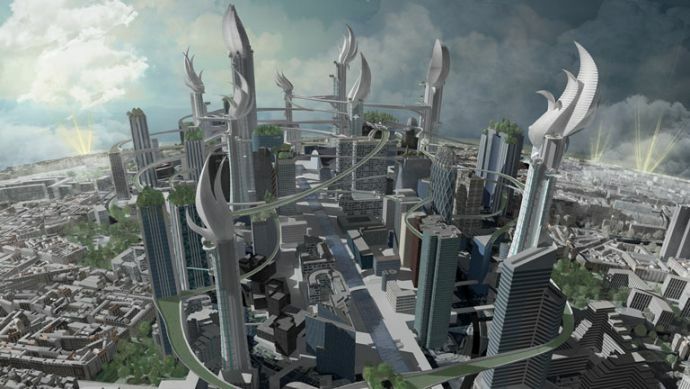 The year 2000 is dreaming, with its suspended towns, urban freeways and flying machines. 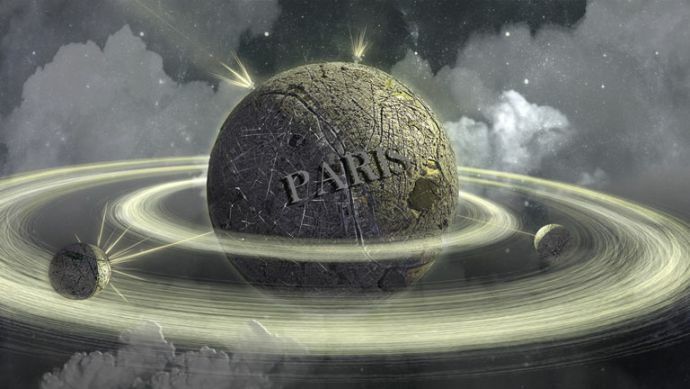 Le Grand Paris and beyond, today, tomorrow, after tomorrow. The 3D designs are made by the institute Passion for Innovation of Dassault Systèmes. Their collaboration started with the La Douce album. 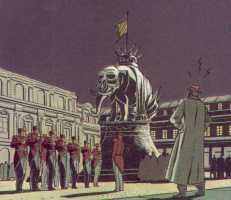 This time Dassault Systemes made 3D projections of these three monuments, showing how these monuments will look like in the future projected by François Schuiten. The background music played during the exhibition is made by Bruno Letort. With the exposition a catalog of the exposition has been published. The catalog has 96 pages and costs 27 euro 7). 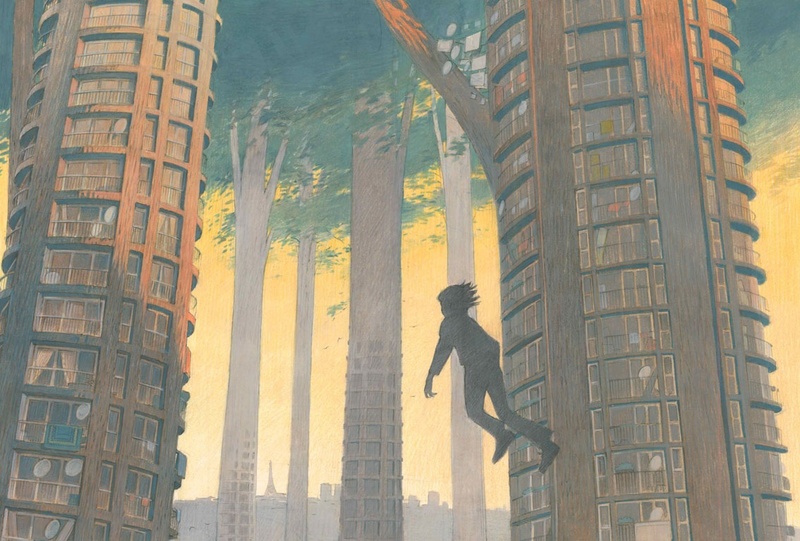 At the same time "IMAGES – François Schuiten" has been published. It is a 32 pages large sized (30×40 cm) book, with only illustrations realised by François. 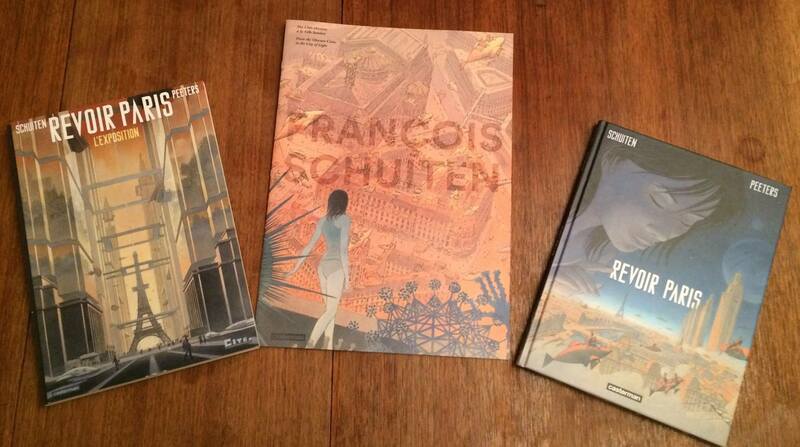 November 5th, 2014, Casterman has released a new album by François Schuiten and Benoît Peeters with the same title 8). 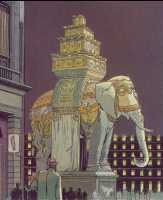 Although it is a joined project by Schuiten and Peeters it is not one in the Obscure Cities series.